How do I create 360 degree videos in MMD? 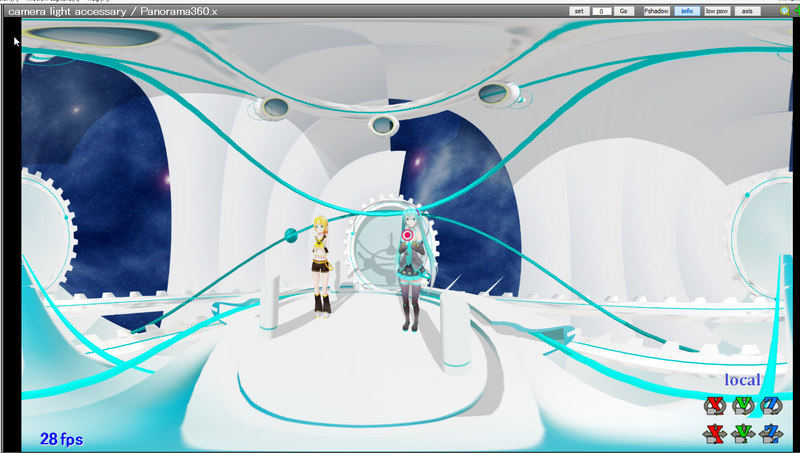 How is it possible to make 360 degree videos in MikuMikuDance? Can I make a 360 degree video in MMD? Hello everyone it is parkeerwacht again! In this post I will be explaining how to make your MMD videos 360 degrees! YouTube introduced this feature last year where you were able to have your videos 360 degree. It loads this via special attributes in the video file, I will explain this later. What’s cool about it is what it looks like when you view it on your mobile! You can use Google Cardboard or use the Gear VR from Samsung, to playback the video in Virtual Reality! It will place you into your video! To do this is not hard, yet it might look complicated. It actually is just a MME effect that does this! MAKING 360 DEGREE VIDEOS IS HEAVY FOR YOUR SYSTEM!!! IT REQUIRES RENDERING AT HIGH RESOLUTIONS AND A LOT OF PROCESSING POWER!!! Step 1: making your MMD video. 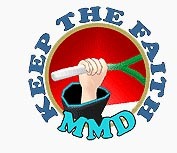 Now first create your MMD video, add all your effects etc. If you use a camera motion make sure it isn’t going to make people dizzy haha. Also keep in mind the effect is pretty picky about which other MME effect’s you use. At the moment I don’t really know which effects work and which ones don’t. This is 360 degree but it will be in the center of the stage. This is what the effect does by default. Also it won’t show some or all of your other effects. Also you won’t be able to change the camera position. 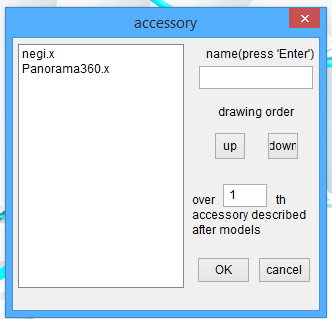 To be able to change the camera position, you need to edit some of the code. 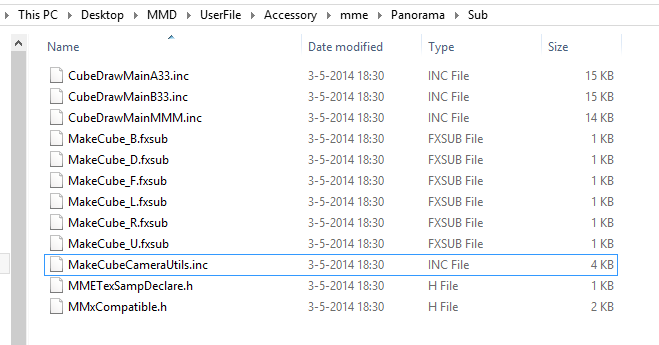 First thing you need to do is to delete the effect from your MMD project, then close MMD. Copy and paste the file MakeCubeCameraUtils.inc soo you have a copy of it. After this step you should be able to choose any camera position you like, for your 360 degree video. Now to render the video you must use 2k resolution or 4k resolution to make the video look good on YouTube… 1080p works fine but it won’t give you the best results. This is because to make the video 360 degree, YouTube stretches the video around. 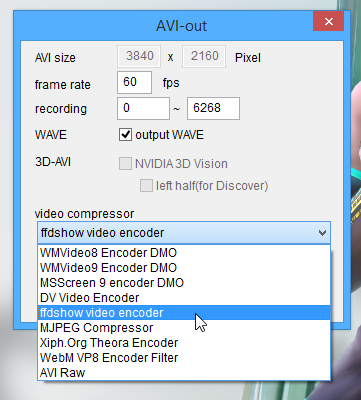 Now render the video to AVI by using the ffdshow codec. Step 5: Transcode the video. Now use Handbrake to transcode the video. 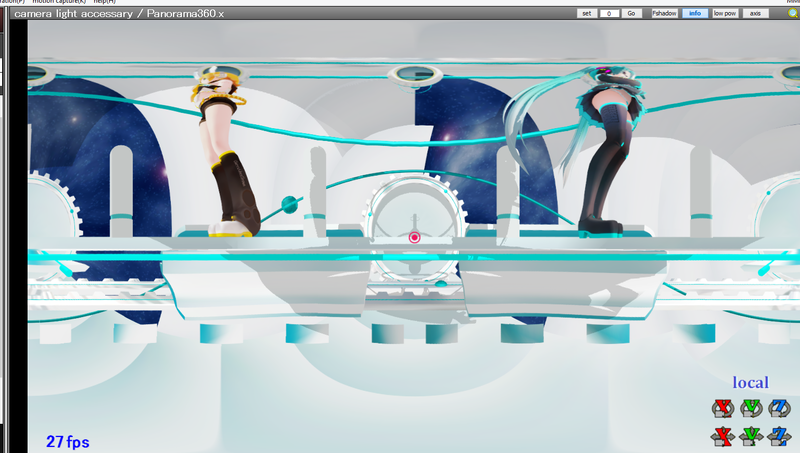 Open up the video you rendered in MMD. 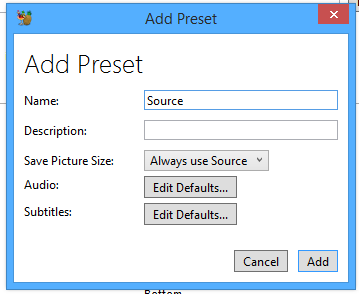 In the settings make sure to create a new preset with everything set to default. Click add and it should be at the bottom of the preset list, select it and then the program should accept 4k video. Now select where it should save the transcoded video, then go to the Video tab. Now start the transcoding process. This may take a while. after that we need to insert the 360 degree metadata. Now to tell YouTube your video is 360 degree, you must add specific metadata. There is a tool to do that. Download Spacial Media Metadata injector and run it. 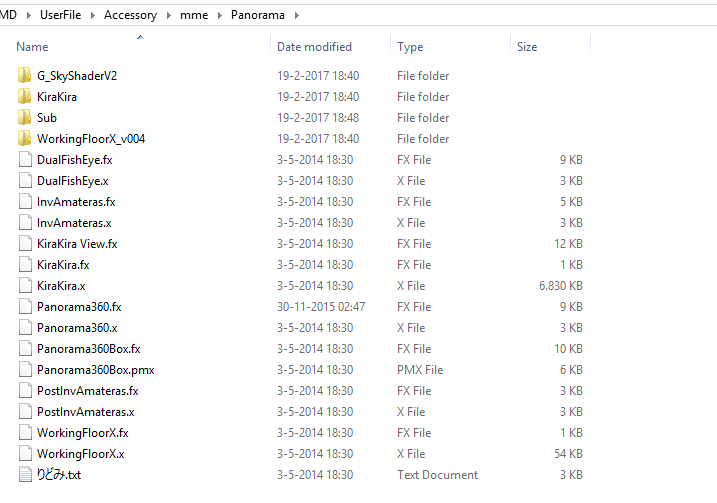 Then press Inject Metadata, and select where to save the file which contains the metadata. Now upload the finished video to YouTube as usual. Wait for it to load 360 mode. This may take up to 24 hours so don’t worry! If you did everything correctly your video should now be 360 degree! Note that your video may look low quallity even if you rendered in 4K, this is due to YouTube stretching the video in a sphere. Yeah it is kinda difficult to do, but I hope I explained the process well enough. If you ( the reader) have any questions, feedback or comments. Feel free to tell me in the comments! i dont know how to downdload it but i did but i cant get in cause i cant find it..
What was in where, why is it important to have it, and what makes you think you’re up to it?